Scholars defined Hadith Sahih as that: “The Isnad [chain of transmission] of the hadith continues through the transmission of a trustworthy (‘adl) and accurate (dhabit) narrator from someone similar to him from the beginning of the Sanad [chain of transmission] to its end. And the hadith should not be Shadh (irregular) nor mu’allal (defective)”. These are the restricting conditions for a narration to be accepted as Sahih hadith. But I find a lot of scholars strengthen weak reports by Shawahid (Witnesses) and Mutabaat (Follow-ups); for example, a hadith may come via a certain chain, and the hadith was a da’eef (weak) hadith, then this hadith has Shawahid or Mutabaat, but these Shawahid and Mutabaat are weak. 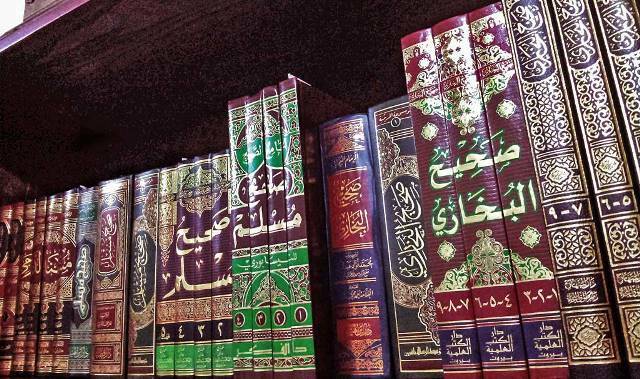 However, scholars would authenticate the hadith via these Shawahid and Mutabaat. What is the extent to which these Shawahid and Mutabaat can be considered? And when they have an impact in the tashih (authentication) of Ahadith? Please answer the question, may Allah bless you…. – Sanad is the chain of men who link the Matn of the hadith to the one who said it. Thus the Sanad in this hadith is: Shafei from Malik from Abdullah ibn Dinar from Abdullah ibn Umar from the Messenger of Allah ﷺ. “The month (can be) 29 nights (i.e. days), and do not fast till you see the moon, and if the sky is overcast, then complete (the month of Sha’ban) thirty (days)”. Abdullah bin Maslama followed al-Shafi’i in the narration of this Hadith, that is he narrated the Hadith from the Sheikh (teacher) of al-Shafei who is Malik through the mentioned Sanad, and therefore the narration of Abdullah bin Maslama is given the term “follow-up” (Mutaba’h), which in this case is called “full follow-up” (Mutaba’ah tammah). In this narration of the Hadith, Nafi followed Abdullah ibn Dinar in narration from Abdullah bin Omar, and this is called Mutaba’ah qasirah (incomplete follow-up) because it was not a follow up from the starting of the Sanad. “When you see the new crescent then fast, and when you see it, then stop fasting, and if it is obscured from you (too cloudy), then complete thirty days”. Accordingly, one should not rush to judge weakness on Ahadith merely by the presence in the Sanad of a Mastur person or a man with deficiency in retention… but other narrations should be studied to find out Shawahid (Witnesses) and Mutabaat (Follow-ups)… However, it should be pointed out that the strengthening of the Ahadith via (Witnesses) and Mutabaat (Follow-ups) is a delicate matter that lack knowledge and comprehension of the science of Hadith and the details of narrations and of invalidation and attestation of reliability (al-Jarh wa Ta’dīl). Because not all follow-ups or witnesses are sufficient to strengthen the Hadith, but it must exist in them conditions to be considerable and appropriate to mend the impairment and to judge on the Hadith as acceptable. I hope this subject has become clear Bi’ithnillah. Next PostThere is No Oppression Except that It Rebounds upon the Oppressor!